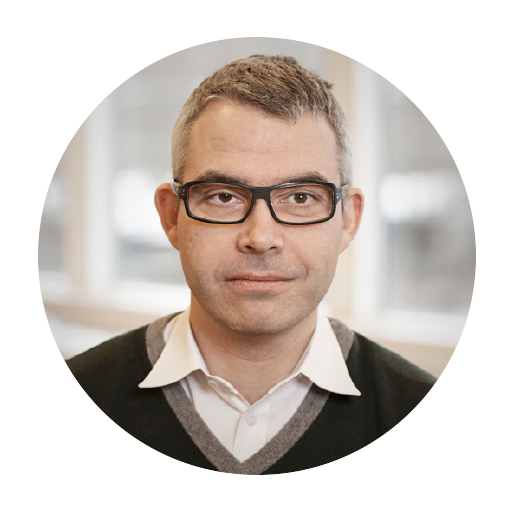 Electronics engineer and specialist in building automation and has been working for WindowMaster since 2000. 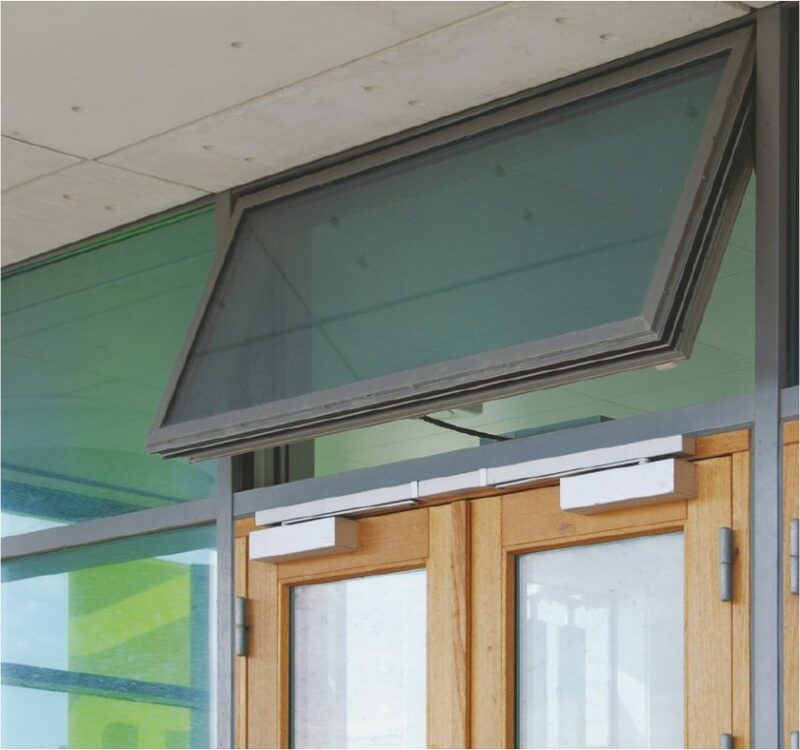 WindowMaster is a Danish manufacturer of complete systems for natural ventilation – window actuators for opening and closing windows – as well as heat and smoke ventilation solutions, since 1990. It is a clean-tech company, which promotes sustainable natural indoor climate tailor-made solutions, plus regular inspection on maintenance and service agreements for all types of buildings. WindowMaster’s existing natural ventilation system – NV Comfort® – has a 7’’ touch screen and a build-in KNX automation control. It is a standardized controller which can support windows in up to eight rooms, and it can also regulate temperature, CO2 and humidity, among other set temperature parameter points. It also controls window sensors, actuators, system devices and operating units for the KNX building bus system. 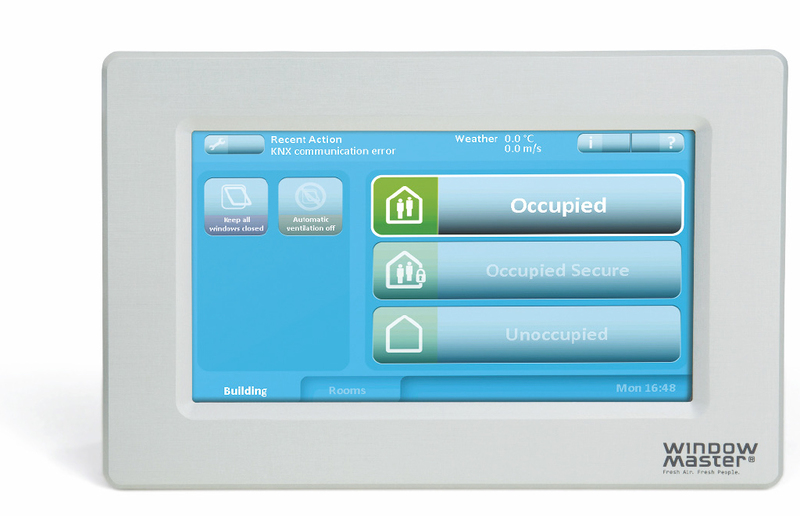 In addition, NV Comfort® is directly connected to an external weather station, which reads weather conditions outside and applies the information received when regulating natural ventilation in the building ’’Which is: if there is increased speed of wind outside, the system will control window openings in a way that will reduce the draft in the room, yet retain the set-up of the ventilation preferences’’, explains Jes Weinreich Holm. Such a multifunctional indoor climate system analyses a lot of valuable information which has a huge potential to be used for data logging and performance analysis. The reason WindowMaster contacted Nabto was because they wanted to complement their product with a data logging and remote-access capability, but without having a need for customers to make any configurations in their products, and in a way that the customers would not need any additional IT skills to be able independently install the products. 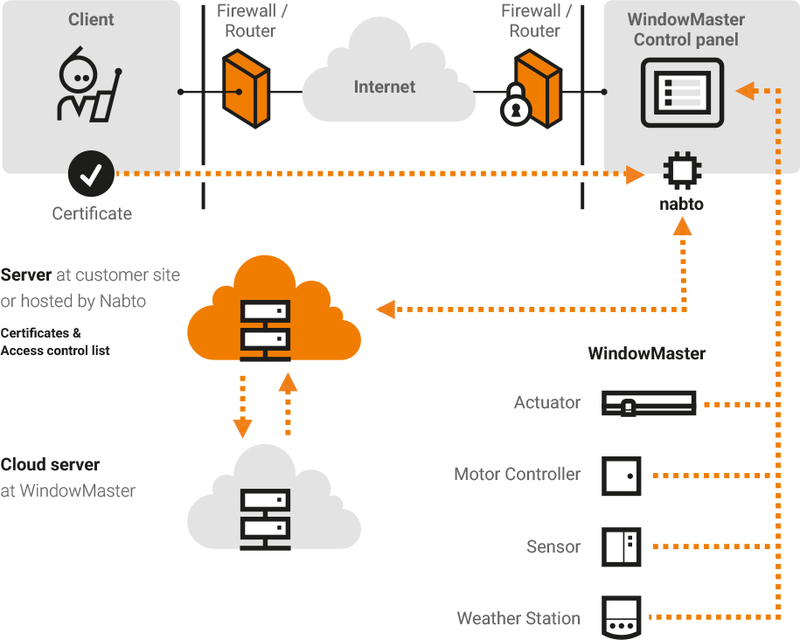 Nabto has provided a simple solution for WindowMaster and for the end-user – Nabto’s technology simply connects to the local network and the manufacturer, as well as the end user, are able to read the parameters and control the device. 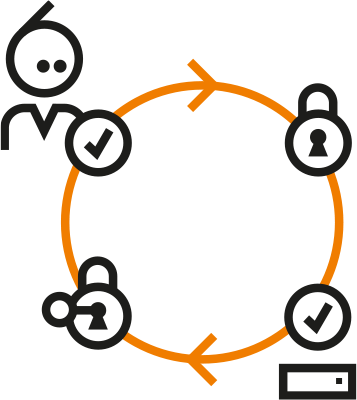 In Jes Weinreich Holm’s words: ’’We did not have to start from scratch developing a completely new product, we just needed to forward a certain TCP port and we could very easily control the product, the cloud server could then fetch and store the data, which could later be presented to the customer. Nabto software enables us to remotely control the product via a VNC standardized server for remote control. This enables us to forward communication to a remote PC and see an exact copy of the screen of the NV Comfort® which is at the customer’s location’’. With the inclusion of Nabto’s technology, WindowMaster has advanced the functionality of the NV Comfort® system and can apply intelligence to optimize buildings’ sustainable indoor ventilation, benefiting the environment and productivity. In addition to that, WindowMaster can now provide remote maintenance services, which allows independent controlling, monitoring and adjusting of the parameters, as well as facilitating constant optimal performance of their ventilation systems from anywhere in the world.